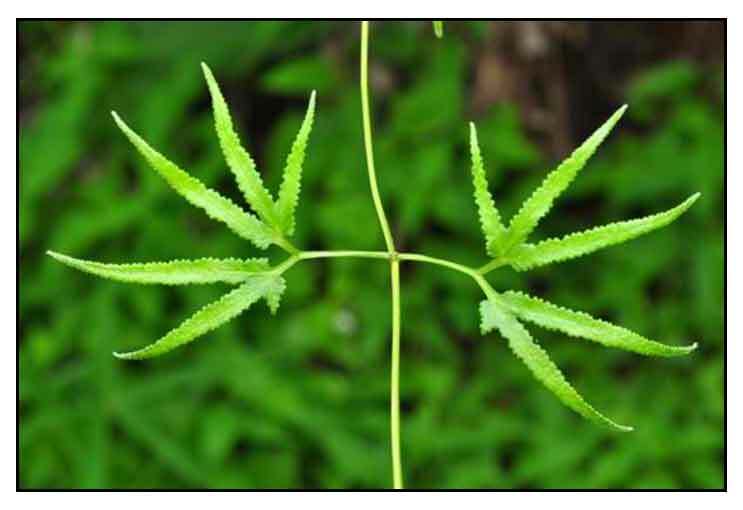 Nito's varieties of common names is confusingly shared among four species of plants belonging to the Family Schizaeceae / Gemus Lygodium: (1) Nito, Lygodium circinnatum, nitong puti, nitoan (2) Nitong puti, Lygodium flexuosum, nito nga purao (3) Nitong-pula, Lygodium japonicum, nito, nito-a-purao (4) Nito-nitoan, Lygodium scandens, nitong parang, nito. CHINESE: Hai nan hai jin sha. Nito is a scrambling fern. Primary petioles are short or wanting. the secondary ones are 2 to 5 centimeters long. Pinnae are stalked, the sterile ones palmately lobed or dichotomous with lobed leaflets, the lobes lanceolate, 10 to 30 centimeters long, 1 to 4.5 centimeters wide; the fertile one are once or twice dichotomous with linear lobes, 1 to 10 centimeters wide, with contracted lamina. 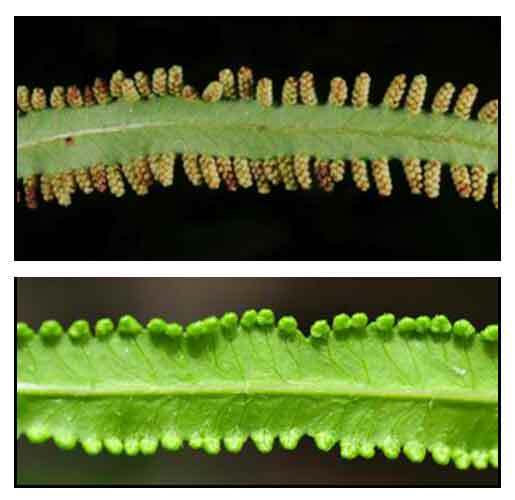 Spikes are arranged along the margin, 2 to 10 millimeters long. Spores are verruculose. - Common in the Philippines at low and medium altitudes. - Growing over shrubs and high into trees. - Also found throughout the tropics of the Old World. - Aqueous extract yielded alkaloids, flavonoids, tannins, phenolic compounds, and glycosides, with absence of saponins and terpenoids. Total phenolic compounds was 31.84 ± 0.24 mg/ml gallic acid equivalent. Flavonoids were 63.5 ± 1.67 mg/ml catechin equivalent. - Studies have suggested antioxidant and radical scavenging properties. - Young leaves reportedly cooked and used as vegetable. - Stipes are chewed and applied to bites of venomous reptiles and insects to neutralize the poison. - Roots and leaves are applied to wounds. - Roots and stems taken internally for contraception. - Used as a protective medicine after childbirth. - In Sabah, Malaysia, young leaf is soaked in water, wrapped with a clean cloth and squeezed, and the drop applied to treat eye pains.